Captivating audiences for over 20 years, the original MIGHTY MORPHIN POWER RANGERS are back with a brand new series by BOOM! STUDIOS! 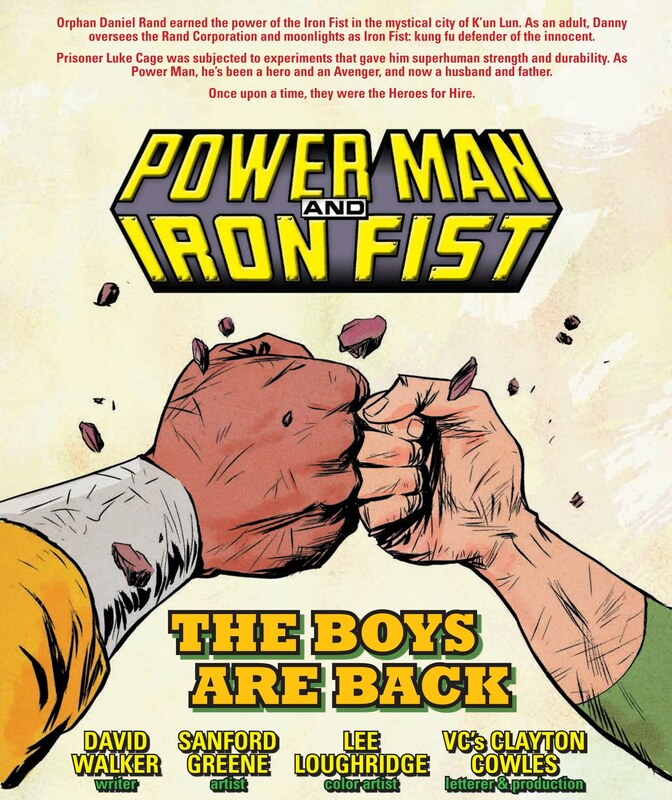 "Finally free from Rita Repulsa's mind control, Tommy Oliver, the Green Ranger, cannot return to a normal life but now finds hope in a brighter path: defending the world against Rita with his newfound family: the Power Rangers!" 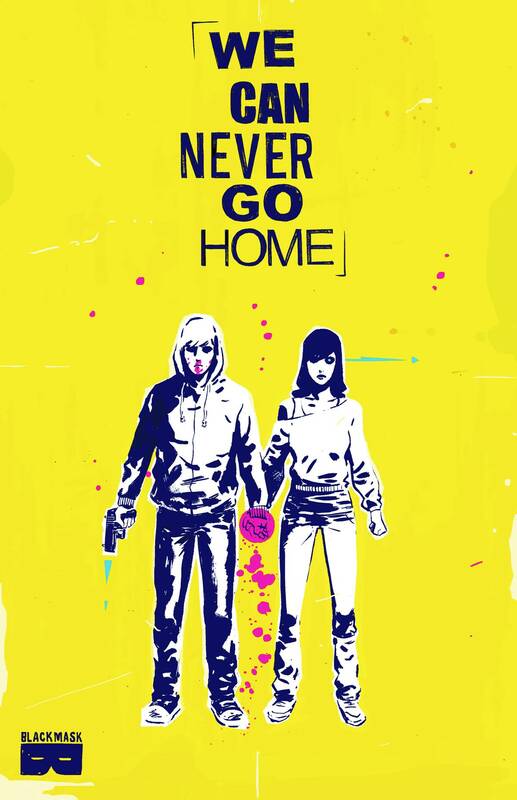 To celebrate, writer KYLE HIGGINS will be signing copies of this hot release at CULVER CITY, 11am-2pm! 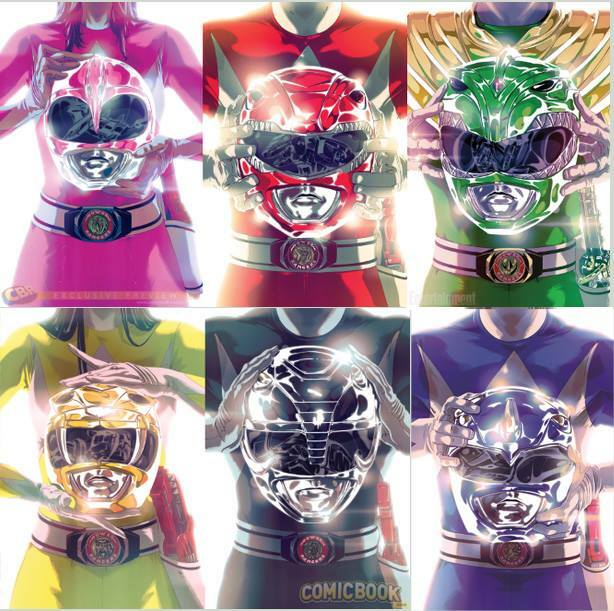 Covers will be evenly split between Red, Black, Pink, Blue, and the Yellow Ranger. Green and White are the rare variants! 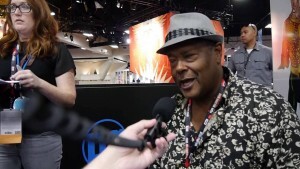 More POWER RANGERS surprises to come so stay tuned! TRAMP-le into the New Year with ZOMBIE TRAMP creator DAN MENDOZA! 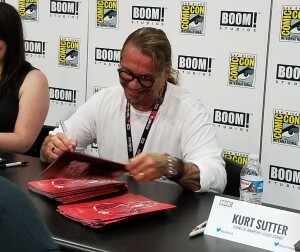 It's The Comic Bug's first signing of the year!!! Zombie Tramp is dripping with dark humor and growing in popularity! Dan is moving from the Los Angeles area soon, so if you wanted to meet him and get your copies of ZOMBIE TRAMP signing, the time is NOW! 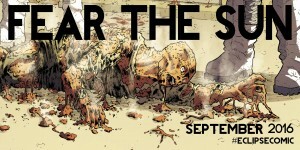 Come on down for the ultimate CREATURE FEATURE!!!! Come join us for the Magic The Gathering: Oath of Gatewatch Pre-Release Tournament. Mark your calendars! 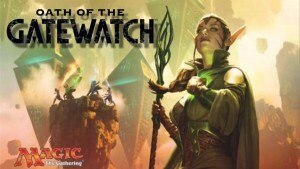 The Oath of the Gatewatch Prerelease is January 16–17. Oath of the Gatewatch is designed with Two-Headed Giant play in mind. This is the perfect opportunity to bring a friend and battle with the latest cards. Oath of the Gatewatch will be hitting shelves January 22, which also means that January 22–24 is Launch Weekend. 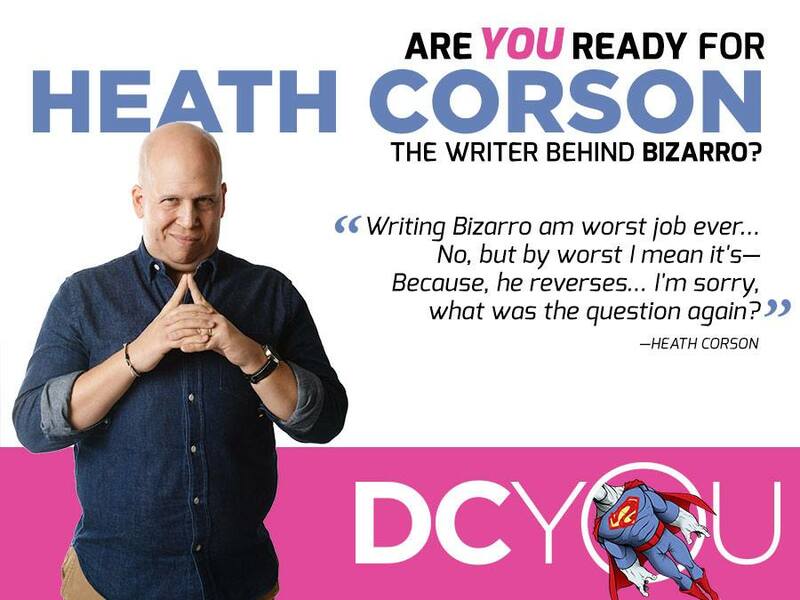 Our Monthly Comic Creator Group Meeting hits 2016 with a running start as BIZARRO writer HEATH CORSON joins us for a special Q&A session. 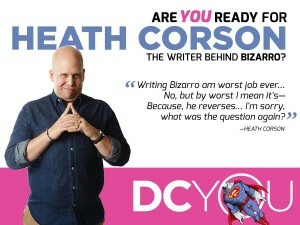 Mr. Corson has written several animated movies and television episodes and has recently transitioned into comic book writing with DC's critically-acclaimed BIZARRO, our favorite backwards and often misunderstood super-villain. We'll be discussing Mr. Corson's career as well as the differences required to write for two distinct mediums. See you here! Meet the creator behind Andre The Giant. 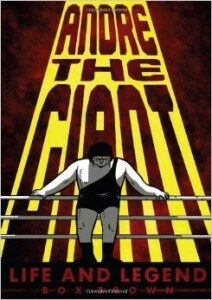 BRANDON EASTON, writer of television's AGENT CARTER and Lion Forge's ANDRE THE GIANT graphic novel will be joining us at our Manhattan Beach shop for a special signing! 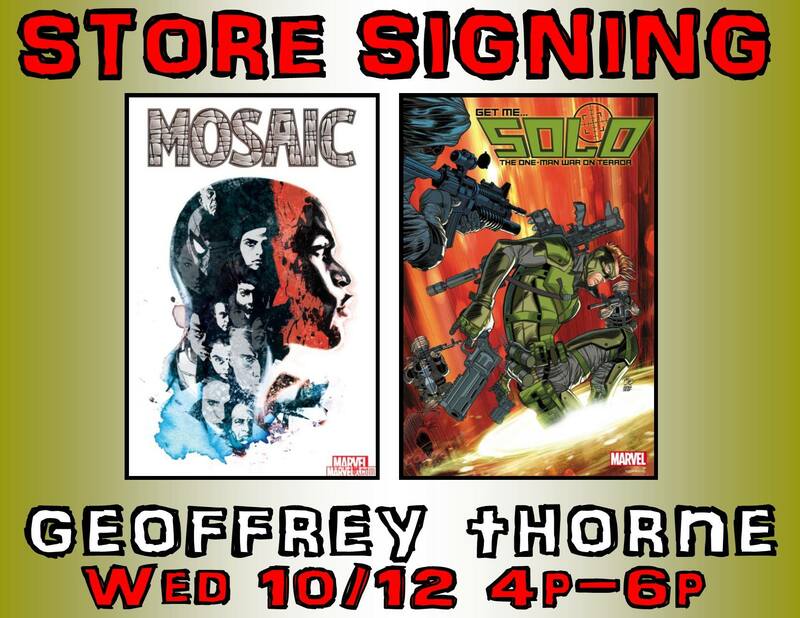 Mr. Easton will be signing from 1:00 to 3:00 and then sitting down with Mike for a bonus COMIC CREATOR MEETING from 3:00 to 4:30. The Q&A is open to the public. 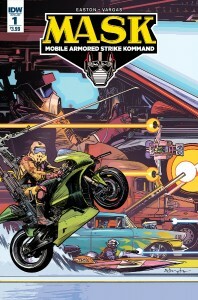 Brandon has also written such greats as BAD MOON RISING, TRANSFORMERS and WATSON AND HOLMES. 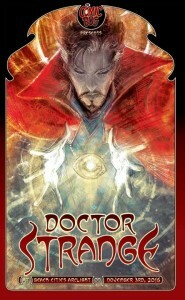 Come check out his fantastic books and meet the man behind the magic! 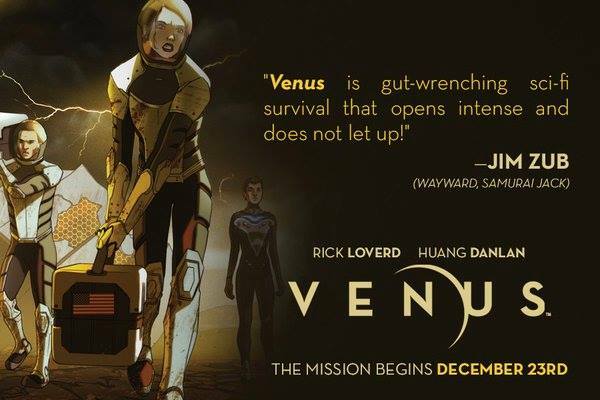 Meet writers RICK LOVERD and FILIP SABLIK and partake in a special Q&A afterwards with genuine SCIENTISTS about the scientific accuracy of VENUS! A mind-bending evening awaits you! 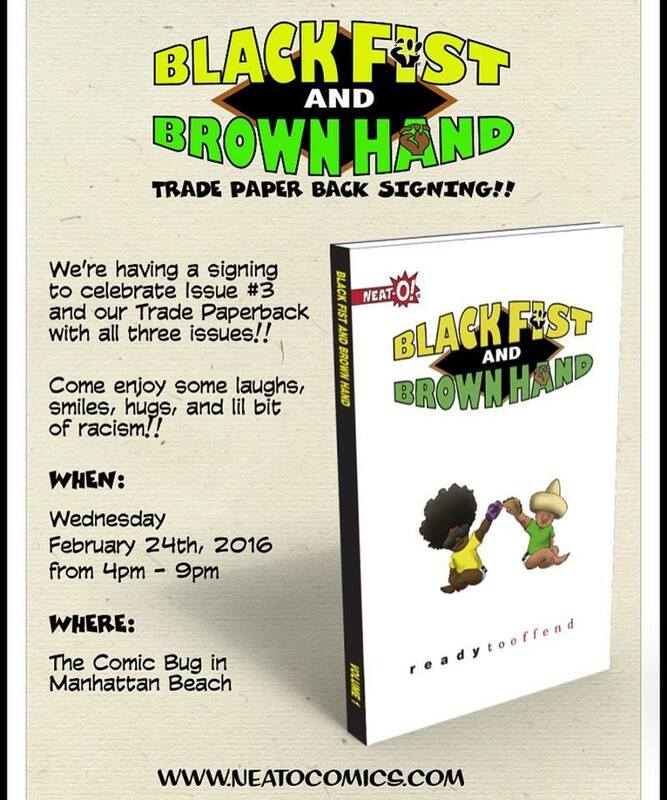 Check out the adventures of BLACK FIST and BROWN HAND, two way cool cats united against the evil tyranny of THE MAN! Nobody lays it down like these two and BF & BH author/creator JOHNNY PARKER will be in the house this Wednesday with some truths so hard you can't help but laugh at them! 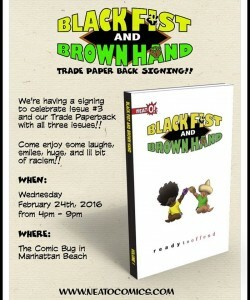 Come pick up BLACK FIST AND BROWN HAND: READY TO OFFEND trade paperback and check out some of Mr. Parker's other work! Horchata, yo! Legendary artist, Denys Cown, speaks to the creator group. THIS SATURDAY! 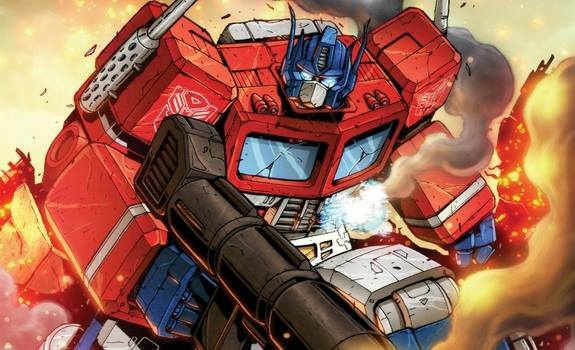 Meet legendary artist DENYS COWAN as he lectures at our Monthly Comic Creator Group. 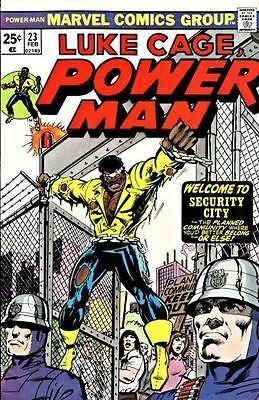 Please note, this event is at our Manhattan Beach location from 2:00 p.m. to 4:00 p.m. Mr. Cowan has worked on some amazing books from BATMAN: BLIND JUSTICE, to his critically acclaimed run on THE QUESTION to several issues of the original POWER MAN & IRON FIST and we are honored to have him! 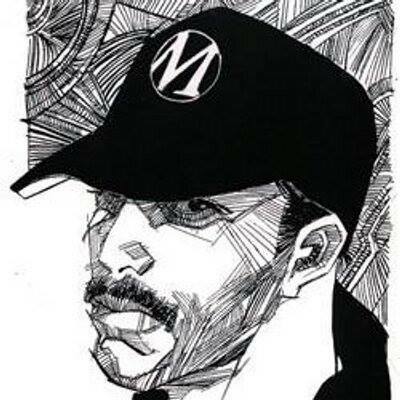 Denys is also one of the founders of Milestone Media and has served as a producer on the animated BOONDOCKS and STATIC SHOCK. Thanks to Don Walker for setting it all up. Denys will be offering insight, advice and sharing some fun stories from his illustrious career! Don't miss it! 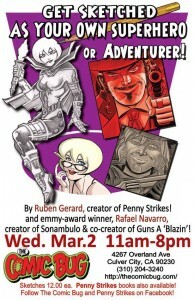 YOU are the hero when Ruben and Raf sketch you into your favorite superhero/adventurer! BECOME a part of the action as PENNY STRIKES! 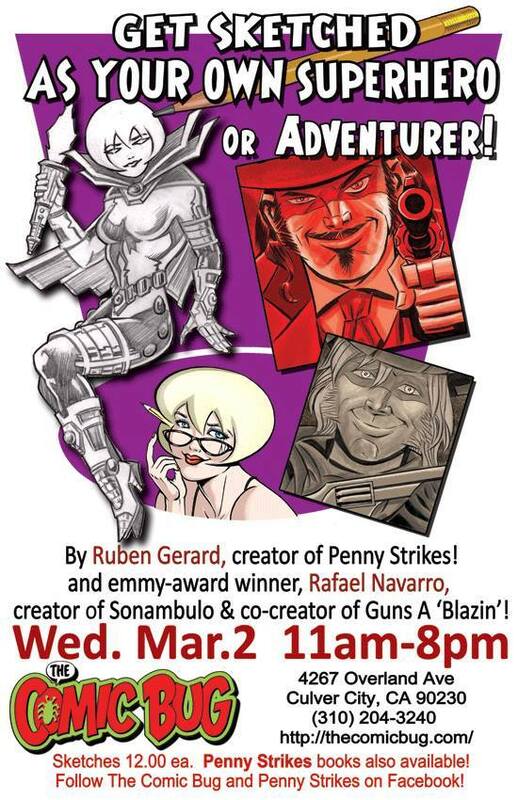 writer/artist RUBEN GERARD and GUNS A' BLAZIN'!/SONAMBULO co-creator/artist RAFAEL NAVARRO draw YOU as your favorite superhero or adventurer at our Culver City location all day, Wednesday, March 2nd! 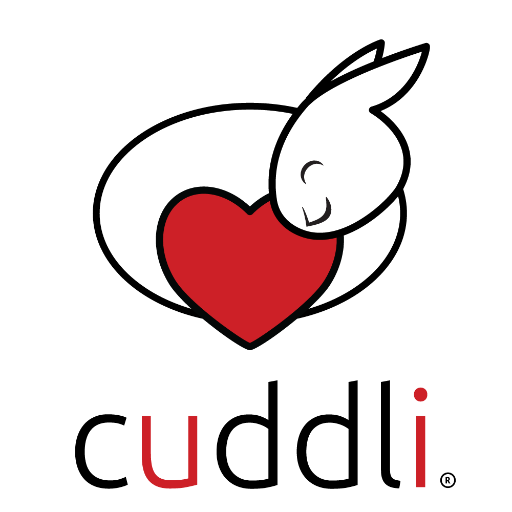 Check out their wonderful books too! These guys can pull off anything you can imagine! 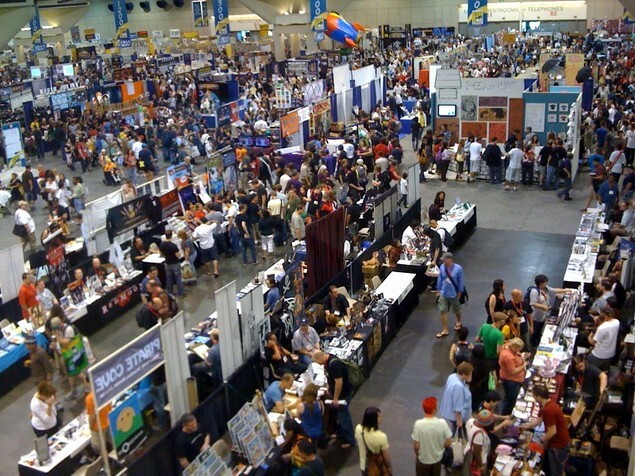 Witness a One-Of-a-Kind Convention Experience from the comfort of your Local Comic Book Store! Featuring first looks at upcoming projects from the biggest publishers in the industry, heaf from you r favorite creative teams about upcoming projects, without the hassle a convention brings. 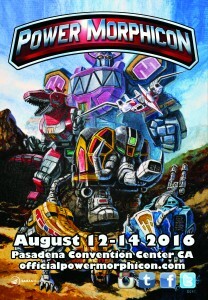 Ask questions to the publishers via social media Get come great Convention Exclusie items and covers. 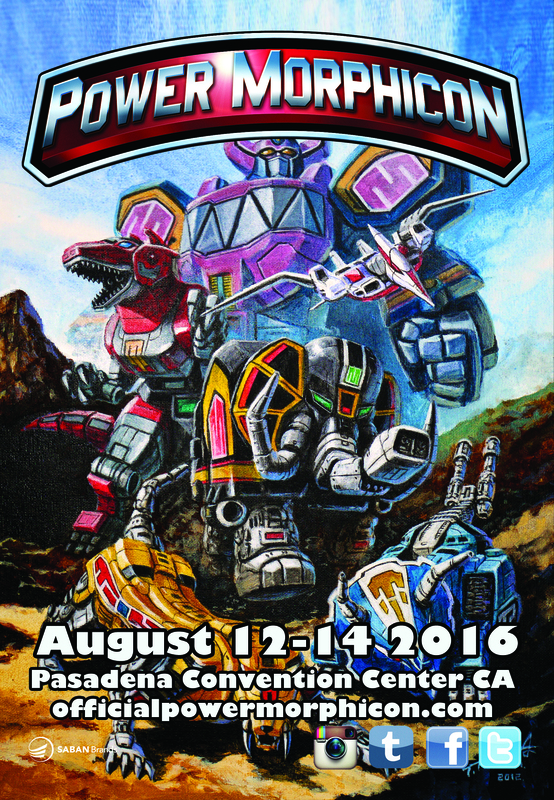 Only a the 2016 In-Store Convention Kick-Off!!! 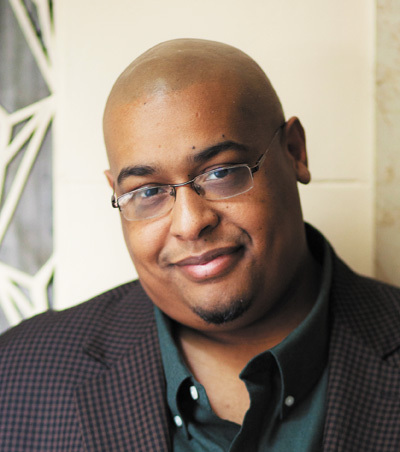 Power Man & Iron Fist writer, David Walker! 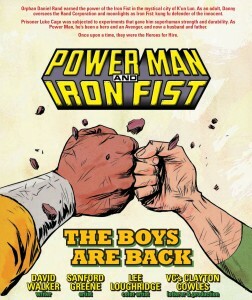 POWER MAN & IRON FIST! 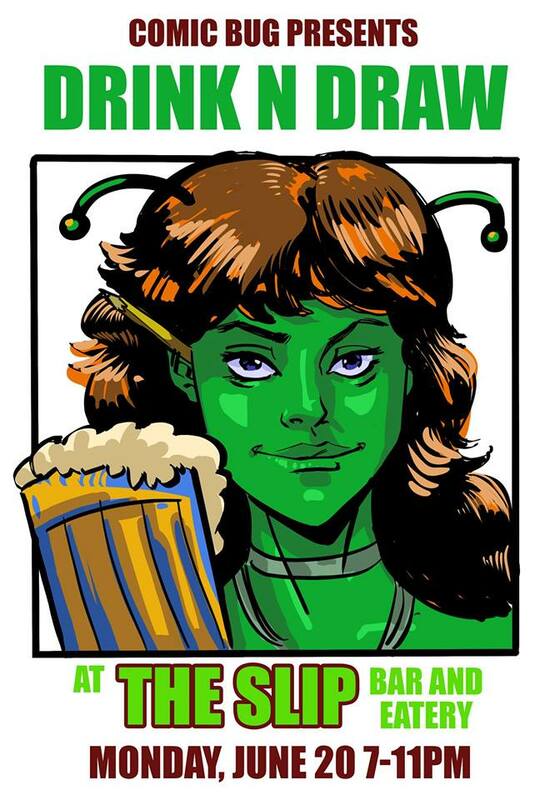 David Walker is writing some of the most BAD-AZZ comics on the shelves nowadays and he's going to be joining us all the way from Portland, Oregon for a special signing and appearance on Drinking With Comics on Monday, March 28th! 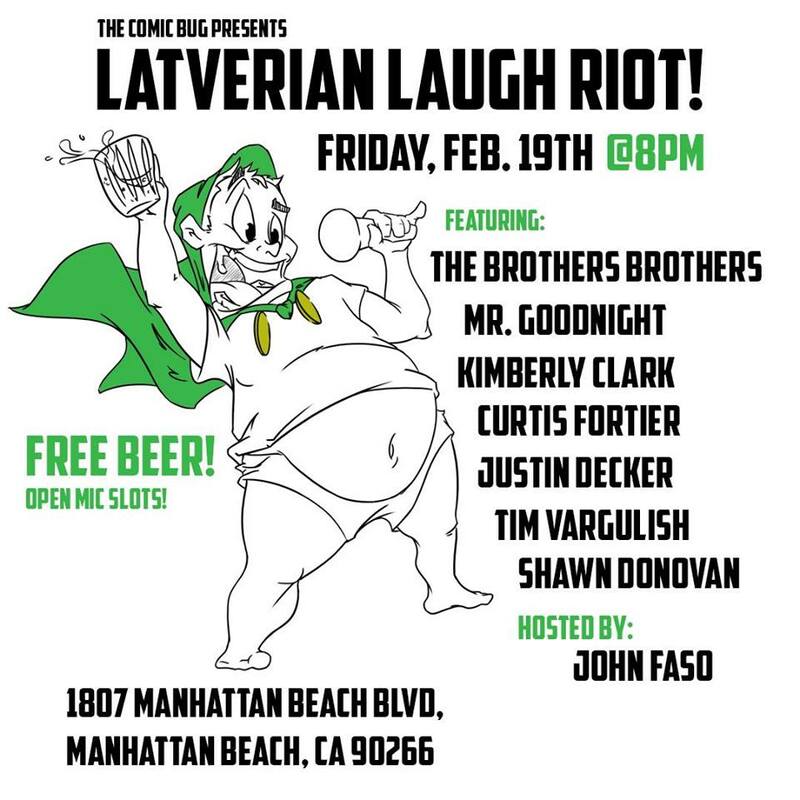 Join us for a fun evening with one of comics' fastest rising stars! 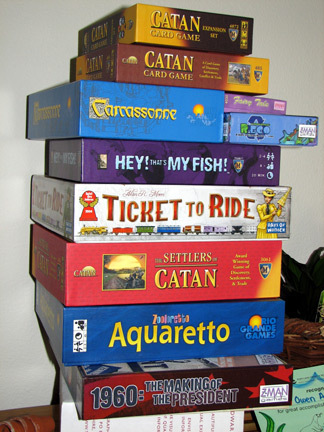 South Bay Gamers provides a safe place for game novices, experts, and enthusiasts of all stripes to meet and enjoy the tabletop games you love, discover new games, and expand your social gaming circle. You are likely to meet some self-proclaimed nerds and geeks of all varieties. We play board & card games including classics (Risk, Axis & Allies, Stratego, Talisman), party games (Telestrations, Say Anything, Werewolf, Wits & Wagers), Euro games (Carcassonne, Settlers of Catan, 7 Wonders, Ticket to Ride, Agricola, Caylus), card games (Dominion, Android: Netrunner, Magic: The Gathering, Bang!, Bohnanza) adventure games (Arkham Horror, Shadow Hunters, Betrayal at House on the Hill, The Resistance) and much, much more. All are welcome and we encourage everyone to bring their favorite games! 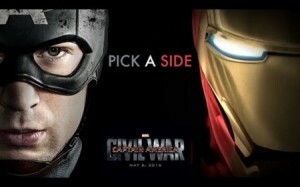 Captain America: Civil War movie screening. Pick A Side! Come join the Comic Bug crew at Arclight: Beach Cities for a screening of the hot movie of the year, Captain America: Civil War. 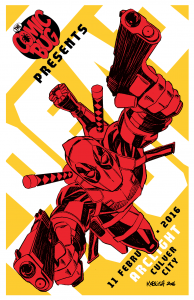 Buy an Exclusive Captain America: Civil War Print for $20.00 and you will get a FREE ticket to Arclight Cinema! 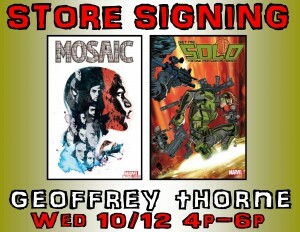 Heads up, true believers! 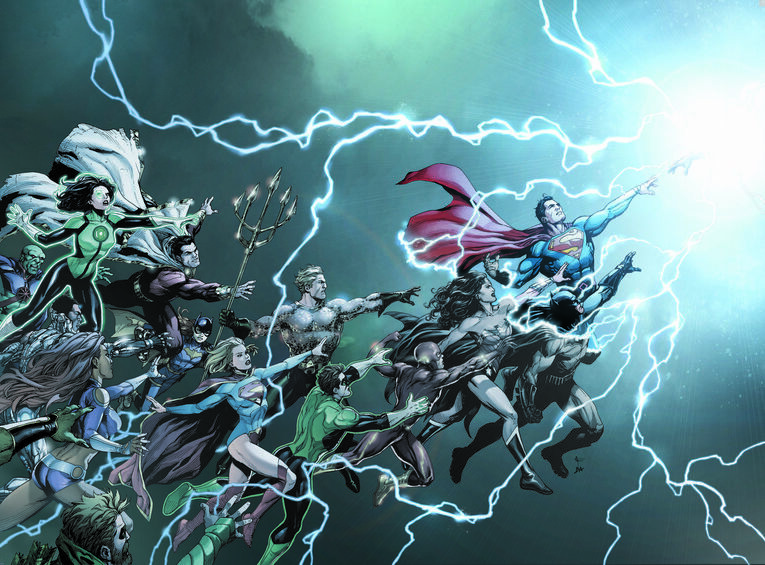 Here is a list of WHO is going to be WHERE on Free Comic Book Day. If it's a limited appearance, we'll have their times posted here too. 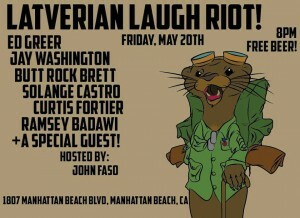 Can't wait to see everyone Saturday at both Manhattan Beach and Culver City! 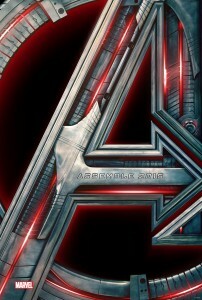 We'll have cosplayers galore! Giveaways! Fun! 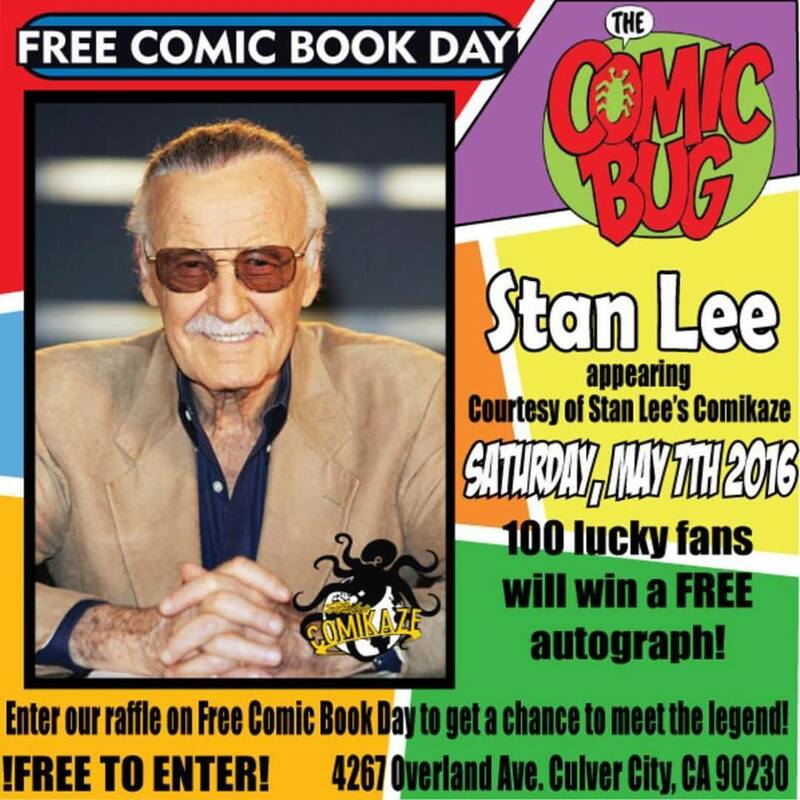 Double your chances to win an autograph from Stan Lee by visiting BOTH locations before 1:30 and entering your name in our COMIKAZE PRESENTS: MEET STAN LEE AT FREE COMIC BOOK DAY raffle! 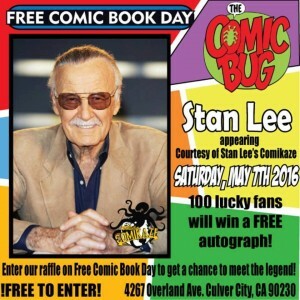 STAN LEE, Comic Legend, will sign 100 Free Autographs for the following raffle winners! Some raffle winners did not show up and we did not draw enough tickets. Sorry! It is so busy and frantic but we drew 20 more tickets. For you die-hards who are still waiting...GOOD LUCK! 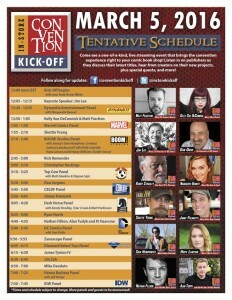 STAN LEE is signing the following raffle winners! 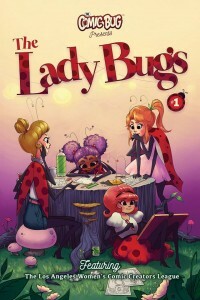 The Ladybug Anthology came out MAY 11TH and we will be celebrating at The Comic Bug in Culver City!! 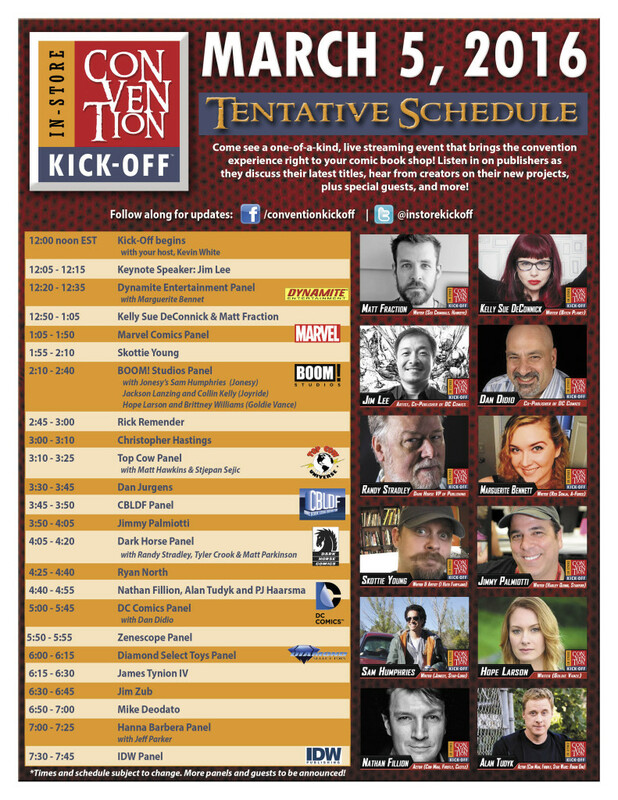 We're going to have food, wine, and AMAZINGLY TALENT Women Comic Creators from the Los Angeles area!! 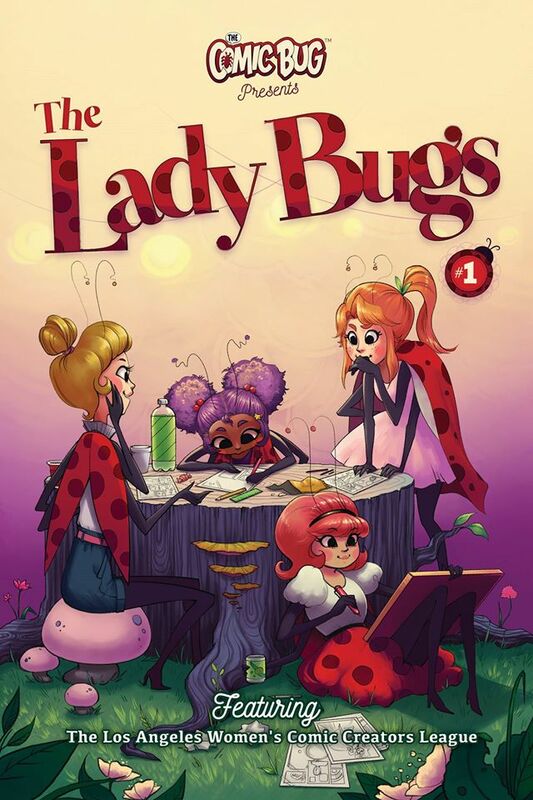 Join the comic book revolution and get yourself a SIGNED copy of the PREMIER LADYBUG ANTHOLOGY!! 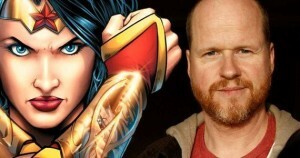 DJ's Biggest Bang at The Comic Bug! That's right! All day long this upcoming Wednesday, it's D.J. 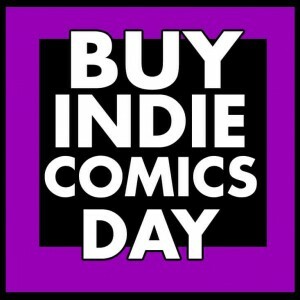 DAY at The Comic Bug(s)! That doesn't mean you should wear your dancing shoes and get ready to booty quake (though you're certainly welcome to! ), but you might wanna consider bringing an extra $4.35 cuz D.J. 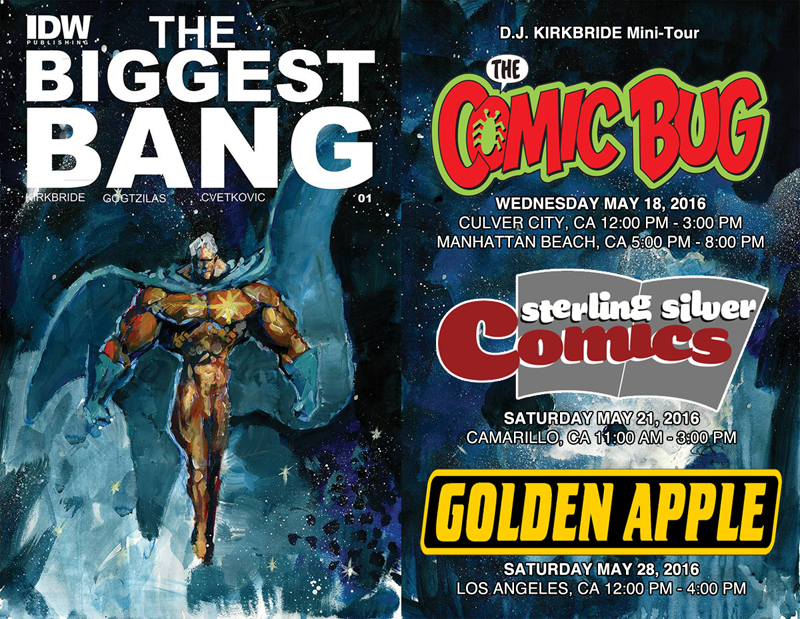 KIRKBRIDE is dropping his BIGGEST BANG yet at The Comic Bug! 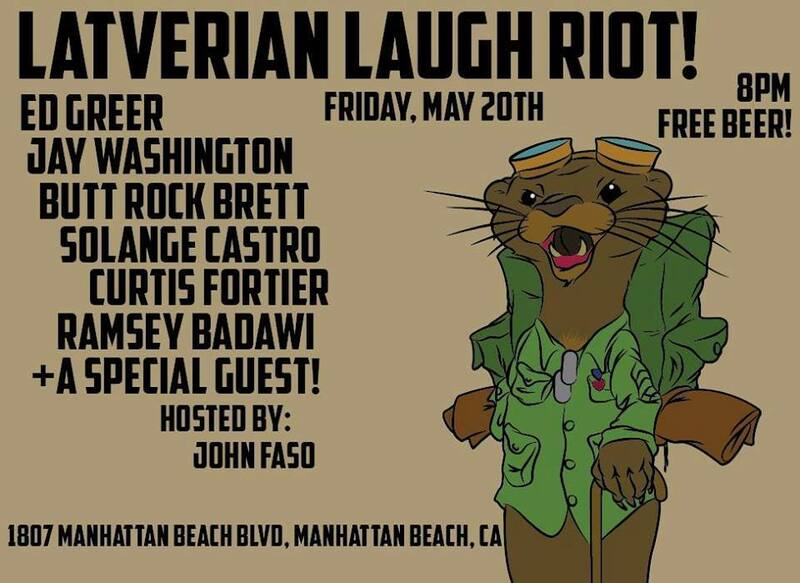 He'll be hanging with us at our Culver City location for the lunch shift (12:00 to 3:00) and then hustling down to Manhattan Beach for the evening (5:00 to 8:00) rush! Don't miss out!! THE BIGGEST BANG is in stores EVERYWHERE on May 18th! 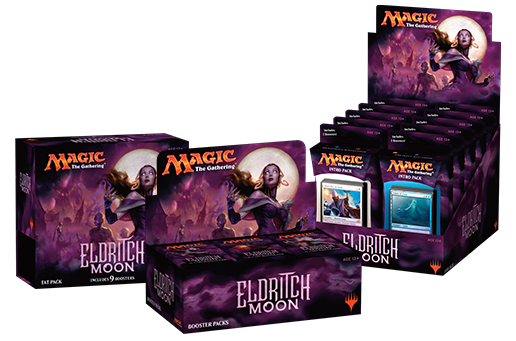 Bring your game to The Game Hub for the Magic the Gathering: Eldritch Moon Pre-Release! 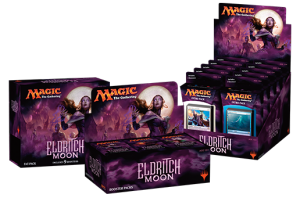 If the idea of spending a whole day playing a tournament doesn't fit into how you prefer to play Magic, or if you have less time and just want to experience the excitement of Eldritch Moon at your own pace, you can get involved in Open Dueling! You get a ready-to-play 60-card Intro Pack and use it to do battle against others participating in Open Dueling, including players participating in the main tournament who are between rounds. 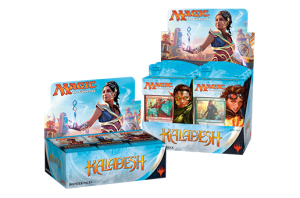 This is a great way to dip your toe into the water if you aren't sure the Prerelease is something you want to do, or if you can't commit five hours to a Prerelease event. You can just play games in Open Dueling at your leisure. Plus, it's fun! My buddy John Faso throws a pretty hilarious show here at The Bug once a month. It's FREE! See you here. Brace yourself for Scott Snyder's next epic BATMAN series! 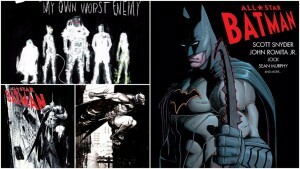 Inker Danny Miki will be joining us to celebrate the release of ALL-STAR BATMAN #1 at our Manhattan Beach location to sign copies of the book. 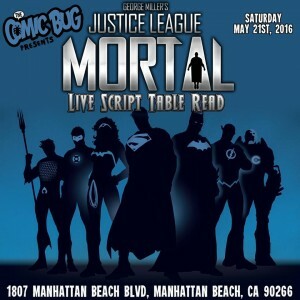 Come in Batman-related cosplay for special treats from Danny and The Comic Bug! Let's celebrate in style! 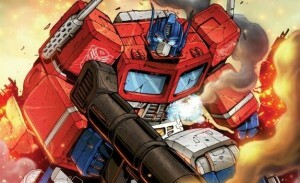 DJ McBride Vs. 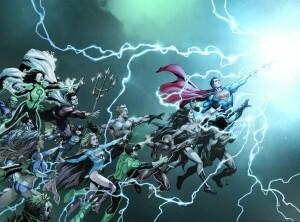 The End of The World! ALL DJ ALL DAY! Amelia Cole versus The End of Everything is new on the shelves, the final chapter in the Amelia Cole saga and D.J. 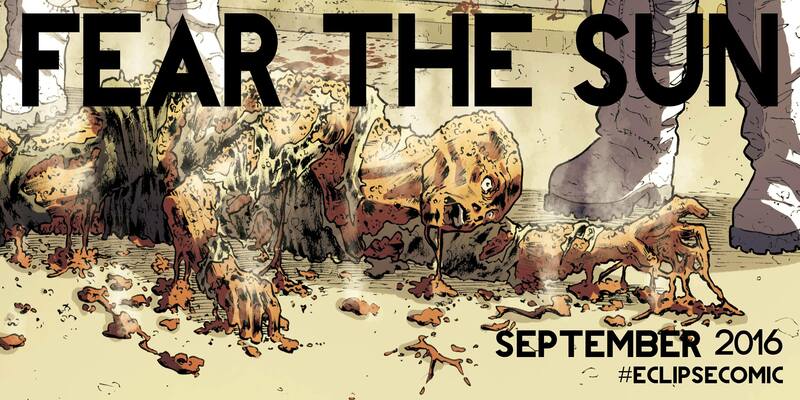 Kirkbride will be signing at BOTH Comic Bug locations to celebrate THE END OF EVERYTHING! Meet D.J. 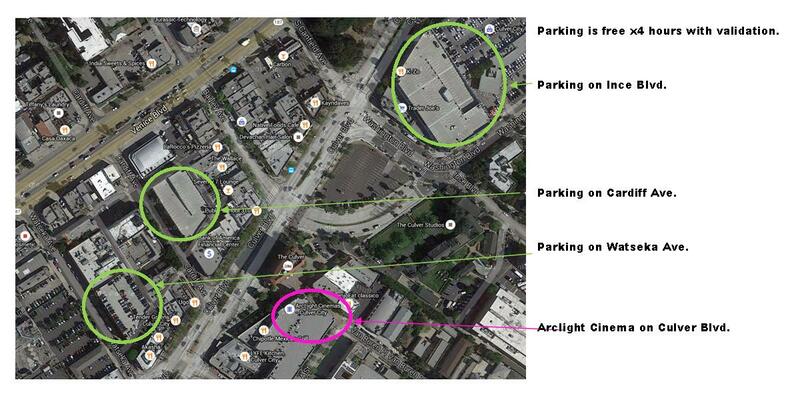 at our Culver City shop from 11 a.m. to 2 p.m. and then at Manhattan Beach from 5:00 p.m. to 8 p.m. Double the DJ, double the fun! 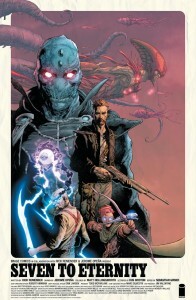 Amelia, Hector, Lemmy, Omega Company, and the rest band together for one last stand against The Council. There’s no going back, and no way around it–all of Amelia’s adventures since arriving in The Unknown World have lead right here! 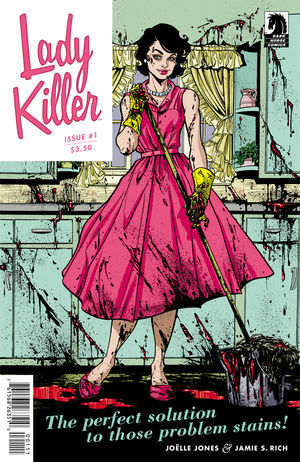 It’s AMELIA COLE VERSUS THE END OF EVERYTHING! 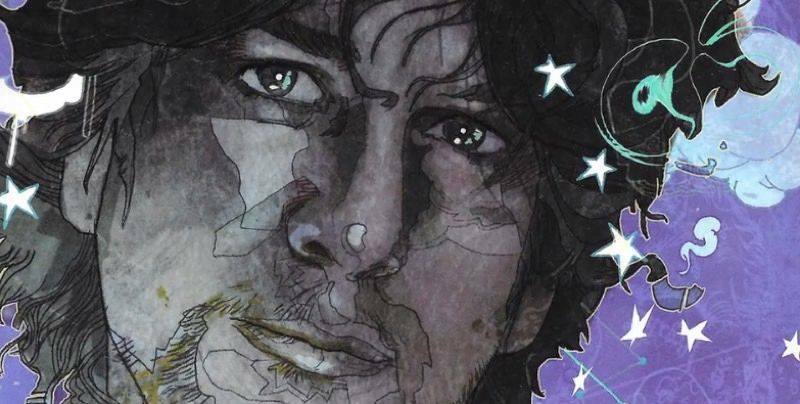 Join us for an intimate look at the life and creative process of award-winning author NEIL GAIMAN! 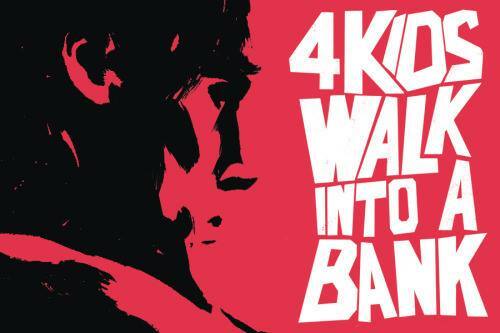 Director Patrick Meaney will be joining us for a Q&A following this fantastic film! 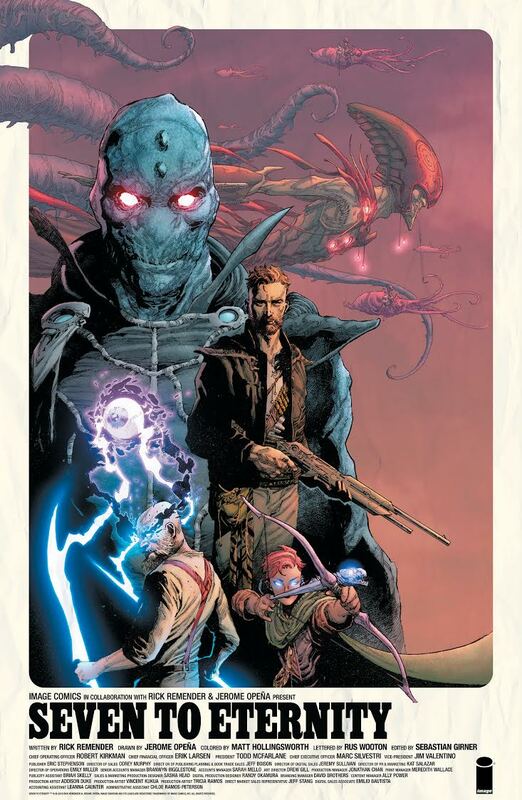 While working on Grant Morrison: Talking With Gods and Warren Ellis: Captured Ghosts, Sequart and Respect Films were cooking up another film, one that would take a few years to come to fruition. And now it’s almost ready to be released to the world: Neil Gaiman: Dream Dangerously. Thanks to the diligent work of producers Mike Phillips and Julian Darius, Neil Gaiman offered unprecedented access to filmmakers Patrick Meaney and Jordan Rennert on his final signing tour (the largest signing tour in history) and Neil’s farewell to life as a public figure before returning to writing full time. Dream Dangerously offers viewers a fly-on-the-wall look at Neil on the road, interacting with fans and experiencing the struggles and joys of being an acclaimed public speaker and in-demand personality. At the same time, the film delves deeply into Neil’s writing process, exploring the childhood origins of his love of mythology, up to his struggles to keep his writing fresh after 25 years of successful storytelling. 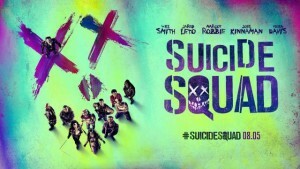 The film includes unique interviews with Amanda Palmer, George RR Martin, Grant Morrison, Bill Hader, Michael Sheen, Kirsten Vangsness, Lenny Henry, Will Wheaton and many more key figures in Neil’s creative and personal life. Ultimately this is a portrait of one of our most beloved fantasy writers that shows the way that fantasy can be a mirror for the world around us, and for the writer himself. 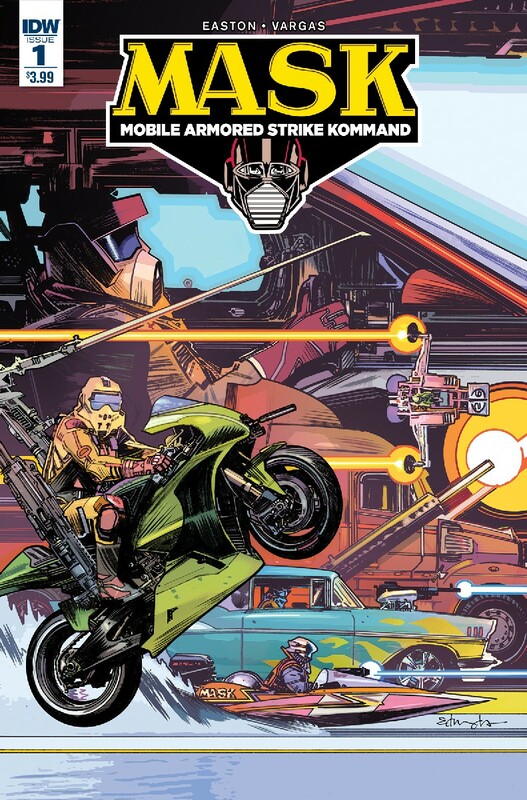 The acclaimed dynamic duo of Kyle Higgins & Alec Siegel (Batman, Nightwing, C.O.W.L., Mighty Morphin Power Rangers) makes a dramatic return to kick off their new IMAGE series: Hadrian's Wall! "When an astronaut on HADRIAN'S WALL is murdered, pill-popping detective Simon Moore is dispatched to investigate the ship's crew... including his own ex-wife. 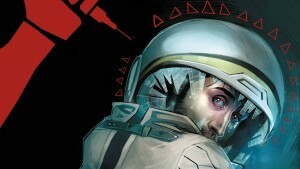 But if Simon's not careful, what he finds could ignite the interstellar Cold War. 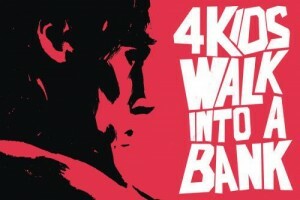 From the creative team behind the critically-acclaimed series C.O.W.L. comes a gripping, locked room murder mystery where the secrets of everyone involved are as dark as the space that surrounds them." 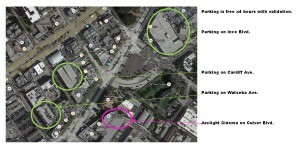 11a-2p at our CULVER CITY location! 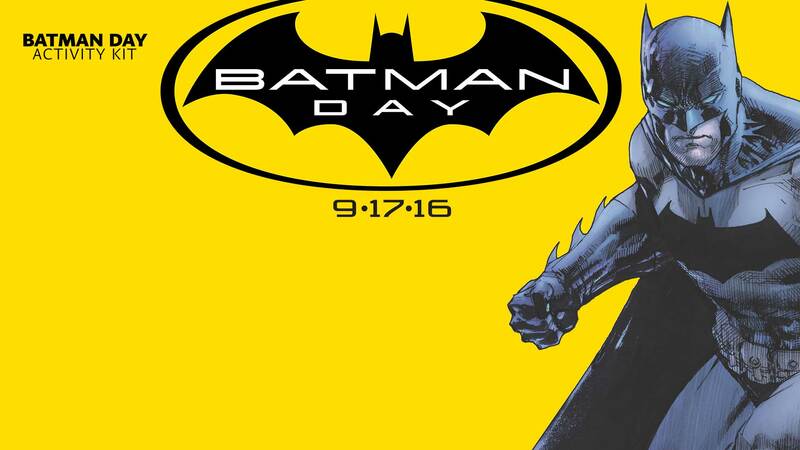 Batman Day 2016! Free Comic Books! The annual celebration of the Dark Knight is back when Batman Day hits on September 17th! 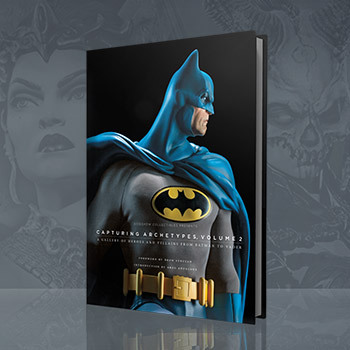 Join in on the fun with Batman Day events around the country and internationally, great discount deals and more! Check out this page for more details, as well as essential Batman graphic novels and news about Gotham City's favorite hero. 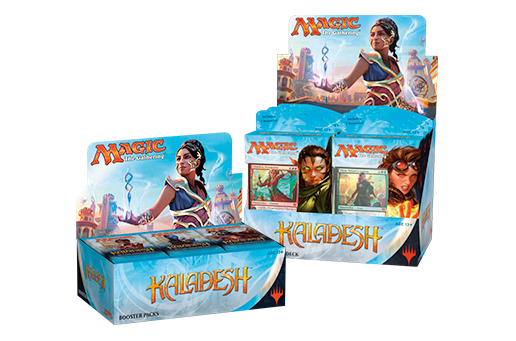 Magic The Gathering: Kaladesh Pre-Release. 3 Events! The Game Hub will be hosting the Midnight Pre-Release Sept.24th. 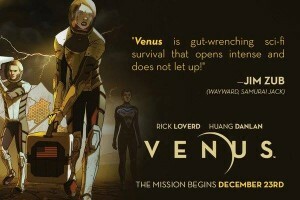 Check out 'Menthu', the comic book created by Robert Roach. 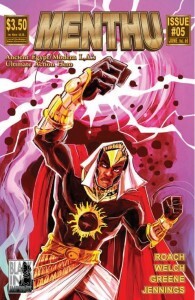 The books, set in Ancient Egypt and the modern Los Angeles area, centers on a father/son narrative; following the journey of Rashan N'Shanga, who "upon learning that he has superpowers, sets out on a quest to figure out exactly what this means". The series feature Egyptian immortals, superheroes, Voodoo super-villains, angels & demons. 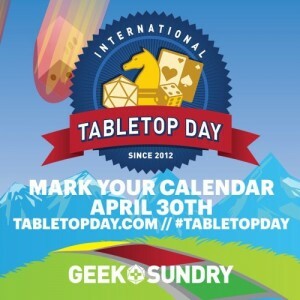 24 Hour Comic Book Day Challenge DATE CHANGE! 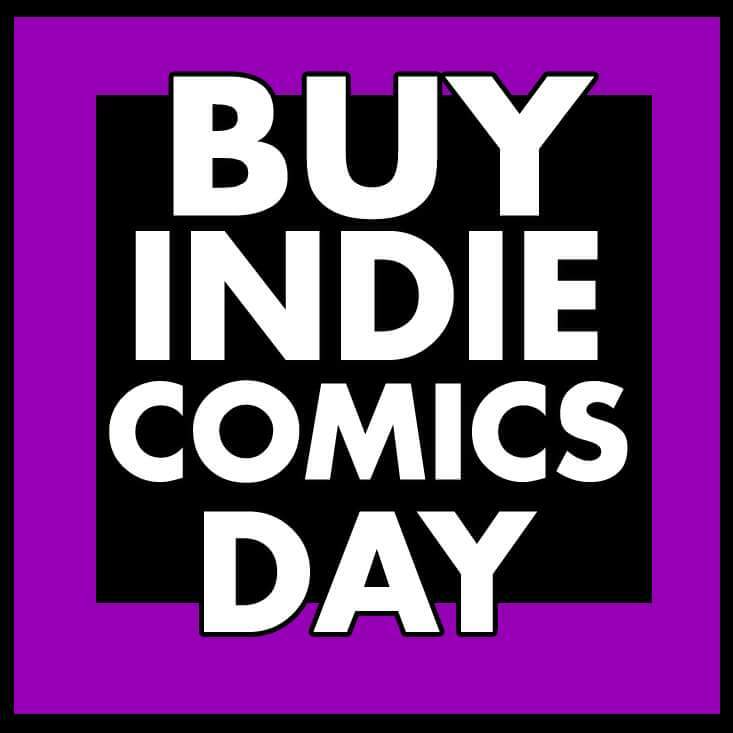 The Comic Bug will be hosting the annual 24 Hour Comic Book Day challenge on October 15-16 due to scheduling conflicts. 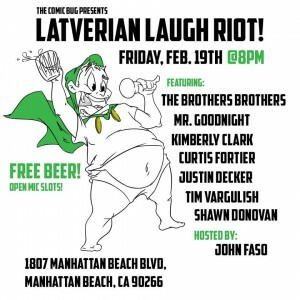 As you know, we like to have an amazing event with food, fun and comics! Please email us to sign up. 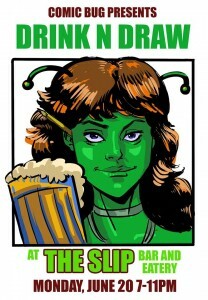 With the change in dates, you can warm up at other stores hosting the event then bring it to The Comic Bug! The OFFICIAL event date for 2016 is SATURDAY, OCTOBER 1st. The Comic Bug date is October 15. 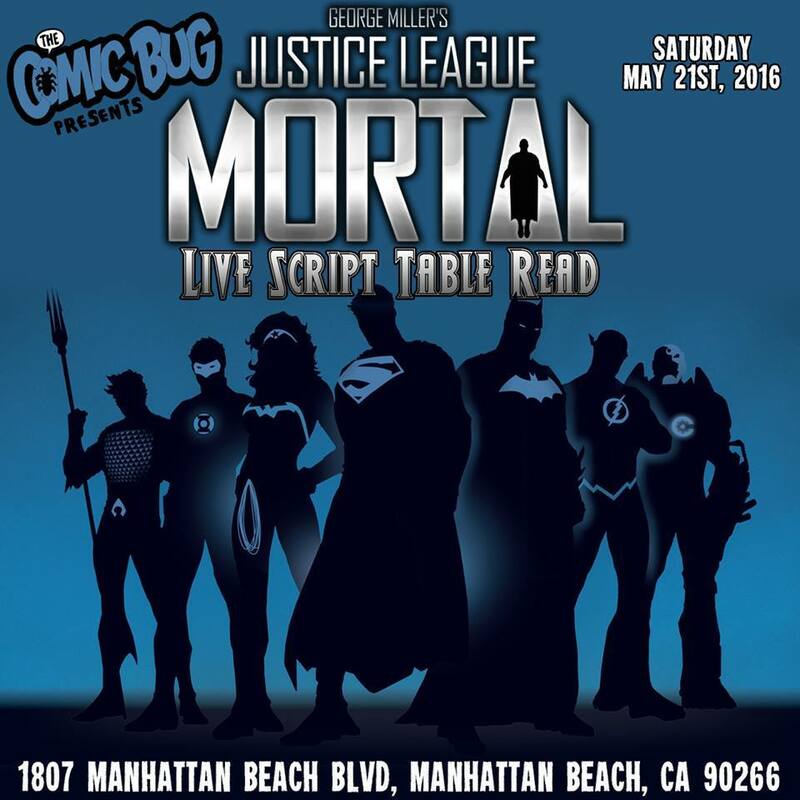 The Comic Bug monthly creator meeting is held on every 3rd Saturday from 4:00 to 6:00 pm at Manhattan Beach. 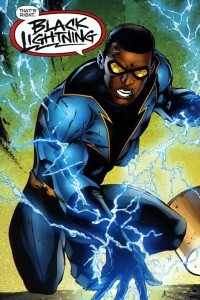 The spirits of Greg Saunders and Adrian Chase are alive and well at DC, but instead of the open prairie or the skyscrapers of Manhattan, the next Vigilante will be battling crime on the seedy backstreets of Los Angeles, as DC Entertainment announced today that THE VIGILANTE: SOUTHLAND, a six-issue miniseries written by Gary Phillips (Vertigo’s COWBOYS, Violent Spring, Perdition U.S.A.) with pencils and inks by Elena Casagrande, colors by Giulia Brusco and covers by Mitch Gerads (Vertigo’s SHERIFF OF BABYLON), will be hitting comic retailers October 5. THE VIGILANTE: SOUTHLAND is the story of Donny Fairchild, a failed NBA player who’s just making ends meet as a maintenance man. When his girlfriend stumbles on a conspiracy to steal water rights through a series of shady land development deals, she’s mysteriously murdered. 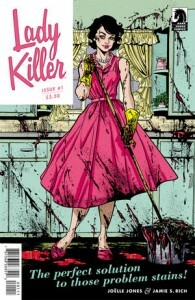 Once Donny starts getting too close to the cause of her death, his house is blown up and he’s left for dead. 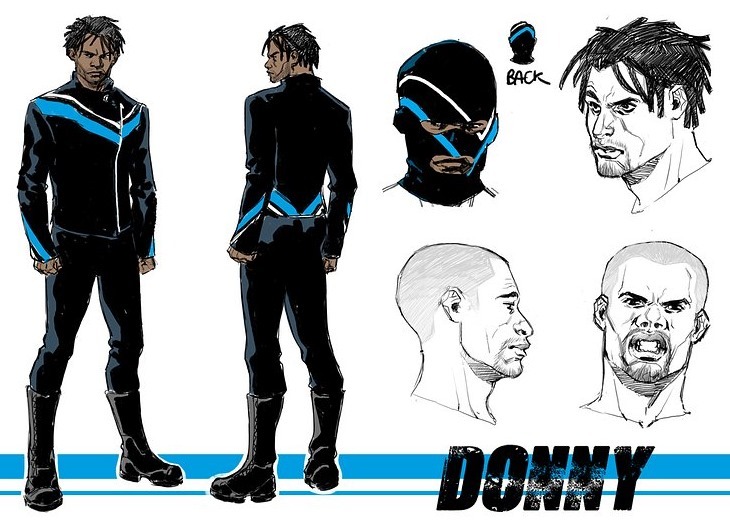 Determined to bring the killers to justice, Donny undergoes training from an urban legend known as The Eastsider to become a masked vigilante. 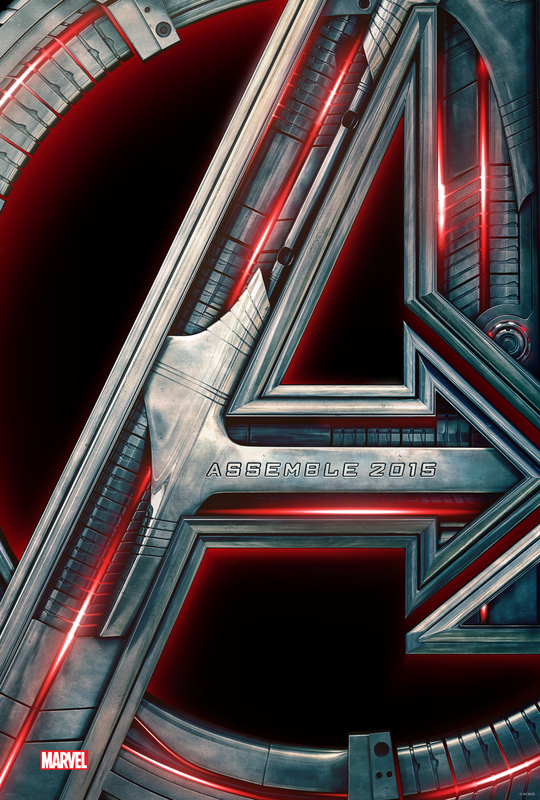 Come watch Marvel Studios Doctor Strange with your fellow comic book enthusiasts at the fantastic Arclight Theatre Beach Cities! Check out the amazing print by artist Abigail Jill Harding! Purchase one of these prints that will be limited to only those attending the event and get a free ticket to see Doctor Strange on opening night! 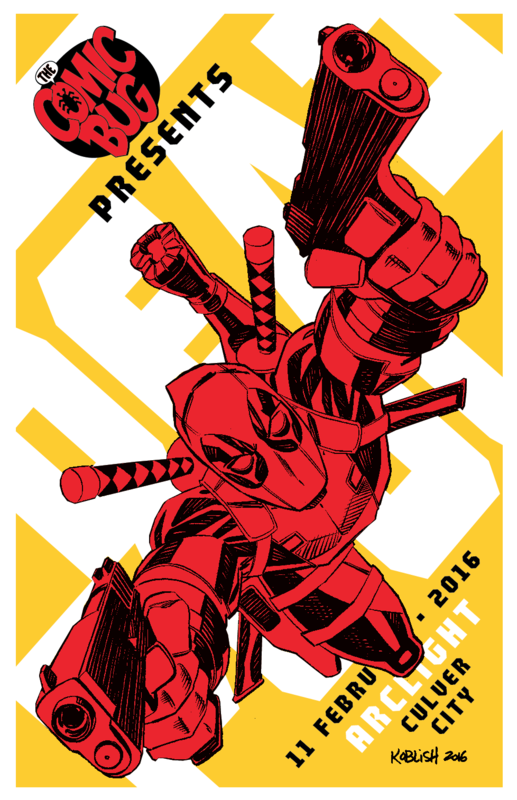 Don't wait because there are less than 25 prints left! 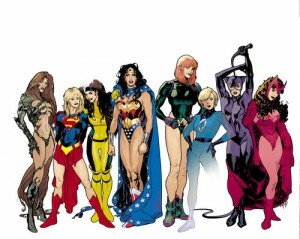 Los Angeles Women's Comic Creator League, The Ladybugs! Women of Comics Books Unite! Los Angeles Women's Comic Creators League is a sketch/work group of women artist/writers/creators whose aim is to create a safe, nurturing environment to discuss current events, projects, and to have fun! 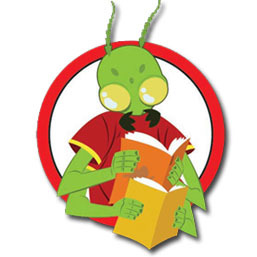 We meet every Thursday from 6:00 PM to 9:00 PM at The Comic Bug! 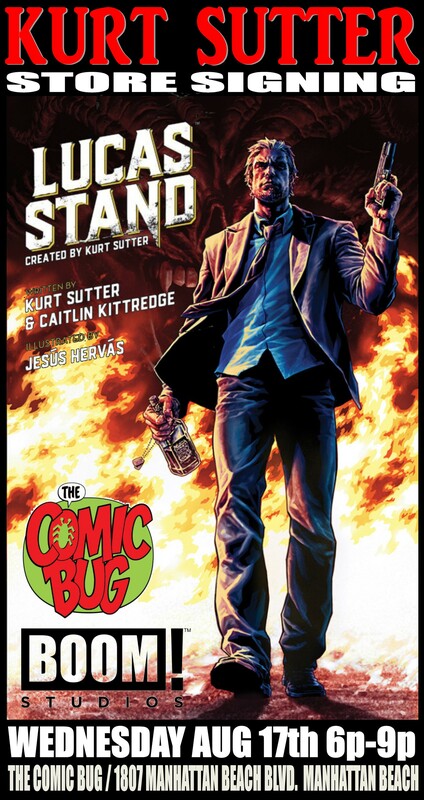 For those not in the Los Angeles area and who want to join us, we host a Skype call broadcasting from The Comic Bug So you won't miss out on the fun. Email MOM atmom@momcomics.org, Nikki at domenxcomics@gmail.com, or Ashley at arubay10@gmail.com for more info.